Fits well and looks good. 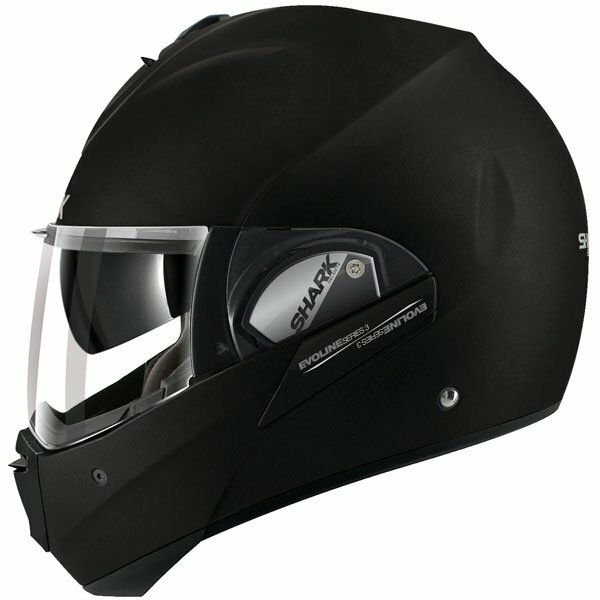 A little noisy at higher speed but not much different from other helmets in this price range, and with a 5 star safety rating for a flip up helmet to boot. Very good service from SBS as usual. 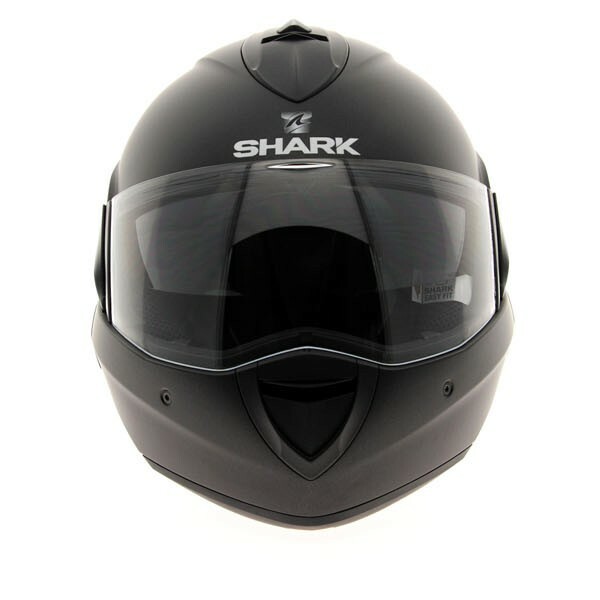 Helmet normally a medium in Shark but it was too small and large too big. Come on shark sort it out. 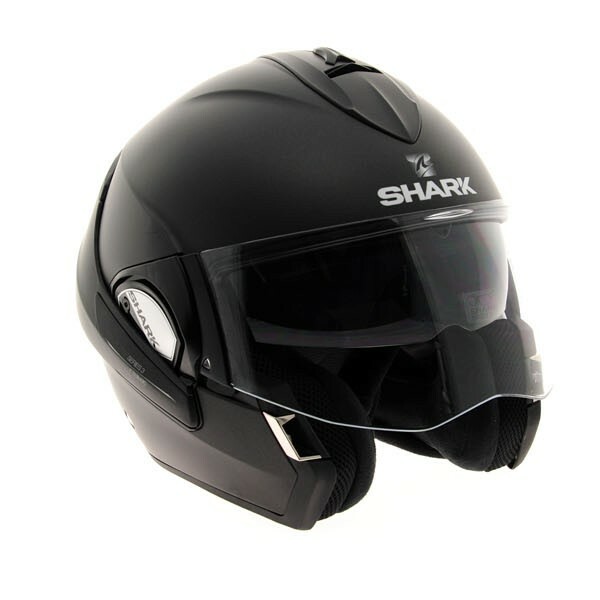 Fantastic comfortable helmet - quiet too. Most importantly it's one of the rare flip up lids with a sharp 5 star rating- always safety first. Mechanism is a little fiddly at first - but once you've got used to it it's very easy to use. Oh and it looks good too! Previous helmets have been a mixture of all brands from cheap to expensive and I liked the idea of this one being dual purpose. I was not disappointed. The flip front making it open face works faultlessly as does the flip down making it full face again. Just make sure you raise the visor a touch or it won't close. Not what you want on the move. The interior was top quality with removable lining and the wick away material was very soft. Also a cavity for shark tooth if you want it. The sun visor is a must and works very well on this helmet. I found riding with only the sun visor created a little turbulence around the eyes, but having the visor down eliminated this totally for me. 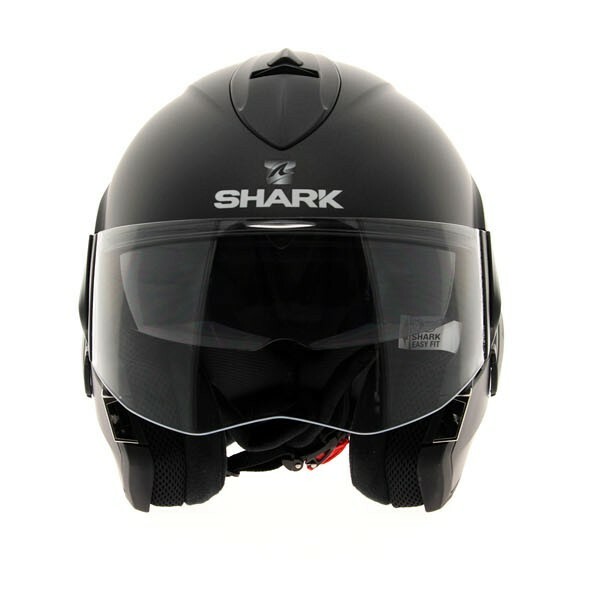 The noise levels are very good open and closed considering the moving parts on this helmet and the aerodynamics. 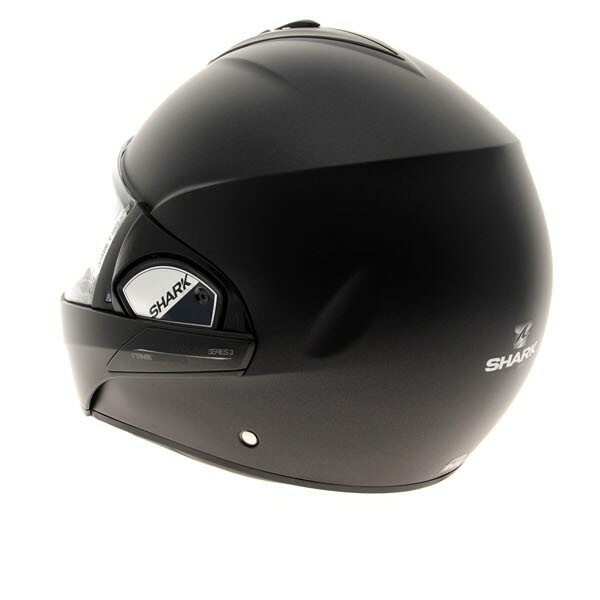 I am very conscious about protecting my hearing and felt that this was a quiet helmet although not as quiet as a full face Arai. 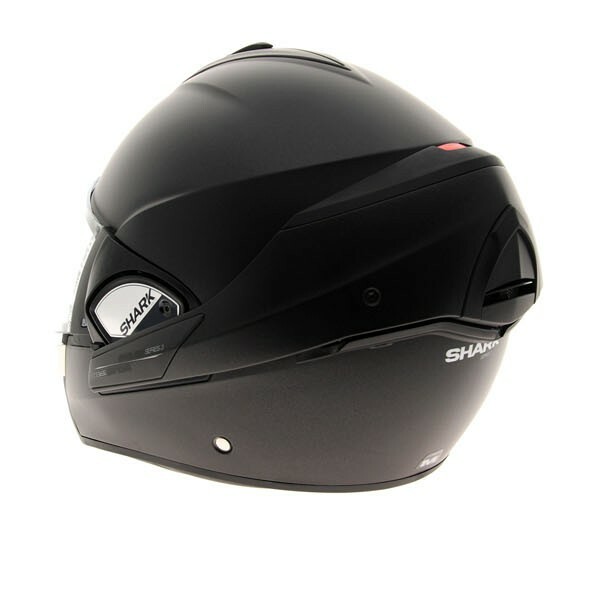 I bought this and an Arai for comparison and kept this one for the superior sharp rating, price and functionality. The Arai went back. 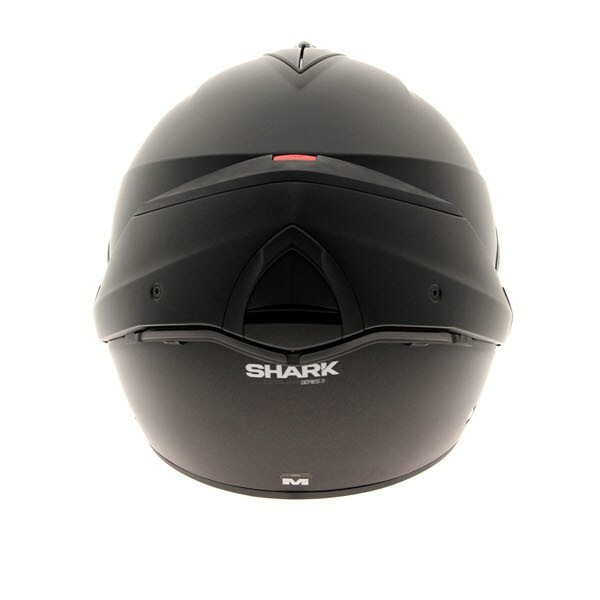 I believe if you are considering this helmet then you are the type of rider that would appreciate its features as I did and you won't be disappointed. For the record, I find myself riding open faced a lot now and only change to full face in either bad weather or higher speed long distance. I did find in high winds that after about an hour or so of riding with the helmet in the open face position, the helmet did press on my brow and started to irritate/hurt. Maybe due to the shape of the helmet catching the wind and pulling it backwards ?? After closing it to full face the irritation/pain went away. I ride an unfaired motorcycle. It's true! 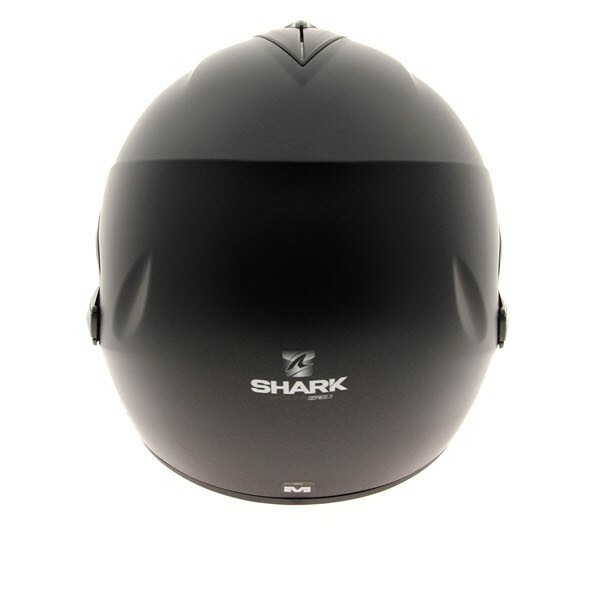 Paid a good price for this helmet, really like its features and trust me when I say: it works. It does feel a bit tight on first use but after about 5/6 short journeys, it's softening in the right places and better fitting me. As always, fast turnaround time with Sportsbikeshop! Used this helmet for a 6 day trip to the Alps. Prefer open face helmets but needed full face options for high speed and rain. Most riding done with the chin piece flipped over. Locking device no longer works correctly and chin piece is very loose on one side. Comfortable helmet but easily marked. This is such a versatile helmet. It does everything you could ever ask for :-)! Just what was needed for long tours. Excellent value for money. Easy to turn into an open face helmet. It was also easy to fit a 'Bluetooth' headset. As a relatively new rider, this helmet does it all. Open face, closed helmet, sun-visor and not too heavy. The sizing-chart was spot-on (and since I use a size 61, that usually does give me some problems). Easy to use with thick gloves on. Fast delivery from Sportsbikeshop. Thanks. Was recommended by a friend who has an Evo 2. 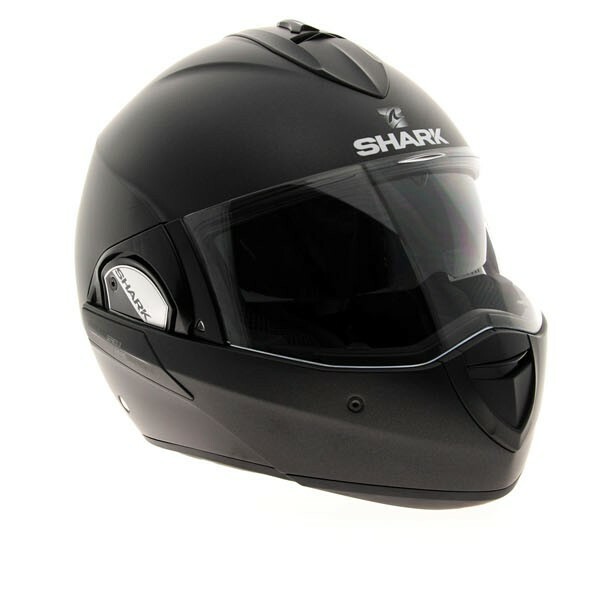 Great helmet, great fit and really easy to use. I was reluctant to spend this much on a helmet but really glad I did. Excellent for summer use and easy to operate when riding. Slightly noisier than my previous full face but a small price to pay for a dual purpose helmet. Visor easy to use and a good clear sun visor as well. Keen to try with Shark tooth. Top Service as ever from Sportsbikeshop! 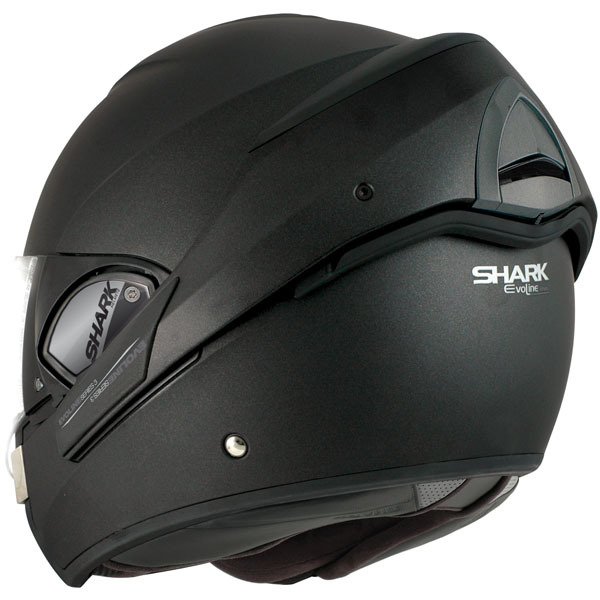 An unprecedented amount of work by the Shark R&D department has perfected the Evoline Series 3 for smooth opening chin bar, reduced noise and improved aerodynamics in both full face and open face modes.